Deputy President Cyril Ramaphosa has welcomed the Lesotho Government's efforts towards supporting the work of the commission of inquiry set up by the SADC Double Troika in Pretoria in July. 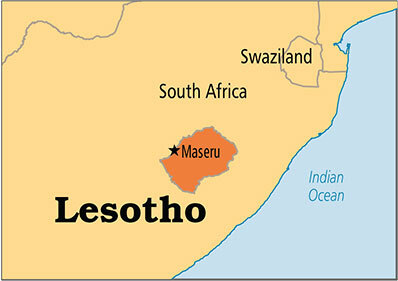 The commission of enquiry is tasked with finding a lasting solution to the situation in Lesotho. “They have prepared office space, they have prepared the full administrative logistical infrastructure that will support the work of the commission. “We are certain they will commence their work with great earnest and we call on the people of Lesotho to participate in the work of the commission,” said the Deputy President at the end of his visit to the country. The Deputy President, who is the SADC Facilitator, held a meeting with King Letsie III, Prime Minister Pakalitha Mosisili, members of his Cabinet, as well as with leaders of the opposition parties in Lesotho recently. During his visit, Deputy Prime Minister Hoang paid a courtesy call on President Jacob Zuma and later hold discussions with Deputy President Ramaphosa to discuss bilateral and multilateral cooperation issues of mutual interest. 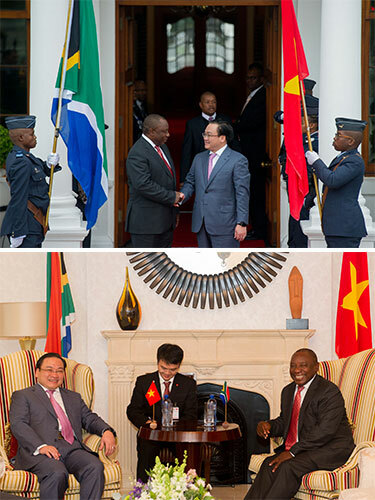 Deputy President Cyril Ramaphosa hosted Hoang Trung Hai, Deputy Prime Minister of the Socialist Republic of Vietnam, in Cape Town on an Official Visit to South Africa on Tuesday, 4 August 2015. During the discussions. Deputy Prime Minister Hoang and Deputy President Ramaphosa explored further opportunities for trade and investment with the objective of diversifying the current trade basket and ensuring more balanced trade by reducing South Africa’s significant trade deficit with Vietnam. The status of cooperation in other important areas such as biodiversity conservation and protection were also on the agenda for discussion. Since the establishment of formal diplomatic relations in December 1993, a solid bilateral relationship has developed between South Africa and Vietnam, reflected among others, in the 13 bilateral legal instruments concluded between them. These instruments include cooperation in the areas of foreign relations, trade and investment, defence, consular affairs, tourism, water resources, biodiversity conservation and protection and combating crime. One of these instruments relates to the establishment in 2004 of the Inter-Governmental Partnership Forum for Economic, Trade, Scientific, Technical and Cultural Cooperation, aimed at facilitating bilateral cooperation in areas of mutual interest. The most recent meeting of the Partnership Forum between the two countries took place in Hanoi on 18 and 19 June 2015 at deputy ministerial level. According to official South African trade statistics, total trade between South Africa and Vietnam is growing year-on-year and amounted to R13,4 billion in 2014 (up from R11,2 billion in 2013) out of a total of just under R107 billion with the 10 member states of the Association of South East Asian Nations. South Africa needs to raise the level of economic growth and promote inclusive growth if it is to win the battle against poverty, inequality and unemployment, says Trade and Industry Minister Rob Davies. 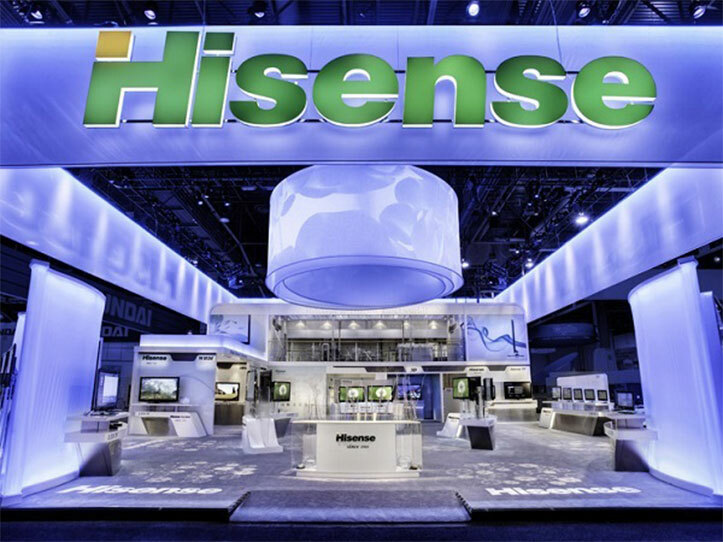 Addressing China’s electronics manufacturer Hisense’s two-day export strategy conference in Cape Town, the Minister said industrialisation was fundamental. “For us as a country, industrialisation is fundamental and we need to move up the value chain. Infrastructure is necessary to support and underpin industrialisation. We also need to support new innovative technology coming to our country and transferring those technologies to our people. “I believe that these elements will enable us to reach an inclusive growth,” said Minister Davies. The Hisense head offices are based in Midrand, Johannesburg, and its manufacturing factory was launched in 2013 in Atlantis, Cape Town. The Minister added that South Africa could learn from the Chinese by promoting investment both domestically and abroad. “One of the things that is interesting about Hisense in particular, is it is one of the first Chinese investments that came to South Africa and located itself in value-added industries. The People's Republic of China changed from being the net recipients of foreign direct investment to becoming net investors outside of the borders of China,” added Minister Davies. The company’s General Manager Youbo Li, indicated that Hisense SA was voted among the top five performing companies. Weatherhaven was one of the 24 South African companies that showcased their products and services at the fair. A South African company was successful in attracting investment at the recently held Feira Internacional de Angola (FILDA) trade fair, said the Department of Trade and Industry (dti). Weatherhaven Africa, a South African business that participated in the week-long trade fair, was excited to share that they had received orders amounting to more than R150 million. Director of Central and West Africa at Weatherhaven, Serge Tonkeu, said the trade fair showed that opportunities were abundant across the Angolan economy. The company received an order from the Angolan army to manufacture camp tents to house 1 500 army personnel, which amounts to R150 million. Another order is from the Angolan prison services, for four kitchen containers amounting to R2,5 million and manufacturing of 6 000 special raincoats for prison warders to an amount of R1 million. “I am confident that we will be able to deliver on these huge orders, and we are fully taking advantage of the numerous investment opportunities that the Angolan industry has presented to us,” said Tonkeu. Tonkeu said that the company was also due to hold meetings with a mining company, an oil and gas company and Angolan Military Services, which all required camps tents for personnel based in remote areas. 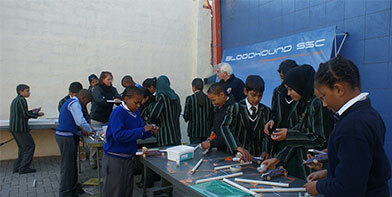 The event is being attended by thousands of learners, university students, scientists and members of the community. On 1 August, the Minister of Science and Technology, Naledi Pandor, launched National Science Week (NSW), which is taking place from 1 to 8 August at North-West University's Mafikeng Campus. The theme for NSW 2015 is “International Year of Light and Light-based Technologies”. Light and its significance in improving lives are being showcased in different forms such as the application of laser in health, cataract surgery, industry manufacturing, car welding and security beams for deterring burglary. The Department of Science and Technology has, through the Council for Scientific and Industrial Research (CSIR), invested in photonics – the science of light technology of generating controlling and detecting light waves and particles of light. This has led, among other things, to the world’s first breakthrough in digital-laser technology. The breakthrough at the CSIR represents a new way of thinking about laser technology and could be a platform on which future technologies are built. The Outward Trade and Investment Mission sought to encourage local manufactures to explore export opportunities and create jobs locally while attracting investment into the country. The Deputy Minister of Small Business Development, Elizabeth Thabethe, recently led a high-powered business delegation of about 35 business men and women who were ready to do business with Turkey, to Istanbul and Ankara. Deputy Minister Thabethe said: As a country, we are encouraged by some of the big investment companies that have already invested in our country such as Arcelik, a leading manufacturer of home appliances in Turkey which acquired South Africa’s Defy Appliances for $324 million in 2011, the largest Turkish investment in South Africa to date. South Africa is an investment destination of choice and there should be no doubt about that”, said Deputy Minister Thabethe. The programme for the Outward Trade and Investment Mission included business seminars, business-to-business meetings and site visits. The mission also aimed to build on the commitments made by the Department of Small Business Development to seek strong partnerships to help expose South African companies to international markets while taking an opportunity to deepen bilateral trade and investment relations between these two countries. The flights from Accra to Washington DC will be offered four times a week on Mondays, Tuesdays, Thursdays and Saturdays. South African Airways (SAA) has launched a new direct flight from Accra to Washington DC, beginning on Monday, 3 August. The Washington-Accra flight will be the only non-stop flight between Washington DC and Ghana. Dzifa Attivor, Ghana’s Minister of Transport, said it was a manifestation of the dream of past African leaders to bring Africans together. It was also in line with government’s policy objective of making Ghana the aviation hub in the West African subregion. The essence, she said, was to ensure an easy and flexible travel opportunity to customers and gave the assurance that Ghana will continue to provide an enabling environment for the operation of air travel for all airline operators. Tech Mahindra is an Indian multinational provider of information technology, networking technology solutions and business support services to the telecommunications industry. Fifty students from the Free State have received a once-in-a-life time opportunity to be part of a six-month ICT training programme in India. The Free State Provincial Government, in partnership with Tech Mahindra, recently sent 50 students from across the province to India. 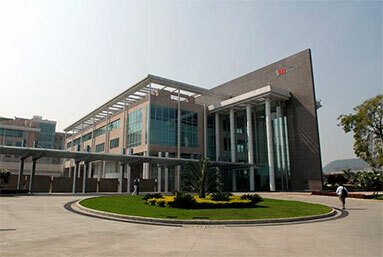 This brings the total number of students on the Tech Mahindra ICT Programme in India to 100. The training programme will be provided with top-notch infrastructure available at Tech Mahindra, and will be handled by highly qualified professionals. Upon completion of the ICT programme by the students, the Free State Provincial Government will assist with placement of these students in various government departments and entities. Tech Mahindra will also identify students who will do well and subsequently put measures in place to absorb them in their satellite office in South Africa. “It is important that we look into a well-coordinated approach of advancing issues of service delivery through reconfiguration of the current partisan approach to ICT to a more collaborative approach that will see ICT play a more crucial role in advancing the province,” said the Chief Information Officer, Thabang Mokoka, who said sending the students to India formed part of the resolutions of the Free State ICT Summit, held in June 2015. In addition to this group of students jetting off to India, are nine students who will be studying Pharmacy at the Manipal Medical University, in the Kanataka State of India. A Western Cape winery has launched the world’s first sulphite-free white wine, made using Honeybush and Rooibos chips. 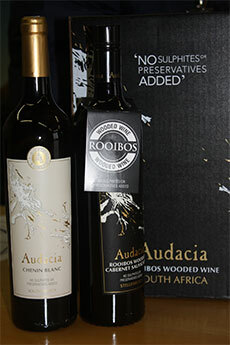 Western Cape Economic Opportunities Minister, Alan Winde, joined Audacia director Trevor Strydom and wine-maker Neil Patterson for the launch of the pioneering new wine. Speaking at the launch, Strydom explained that sulphur was commonly used as a preservative in wine. Some people, however, were allergic to sulphur. “The antioxidant-rich indigenous Rooibos and Honeybush wood chips we use in our wine-making process remove the need to preserve wine by adding sulphur,” said Strydom. 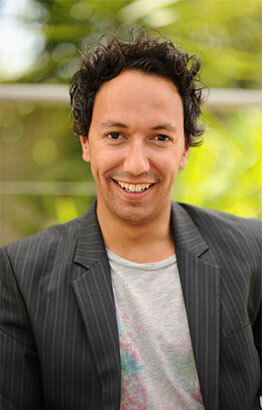 Audacia is in the process of patenting the method in over 80 countries across the world. The company is also conducting trials on “low kilojoules, low alcohol” wines. The Venice International Film Festival’s main competition selection is considered, each year, to represent the greatest in cinematic achievement from around the world. The Endless River, a film by South African director Oliver Hermanus, made history as the first South African film selected to compete for the Venice International Film Festival's Golden Lion award. Lead actress Crystal Donna Roberts has been nominated for a Best Actress award. The line-up for films at the 72nd Venice International Film Festival was announced at an official press conference at the Excelsior Hotel in Rome. Hermanus, who also penned the screenplay, becomes the first-ever South African director to be included in the illustrious competition, which has formerly included some of the global entertainment industry’s most celebrated movies. Last year, Birdman, the 2014 Academy Award Best Picture winner competed for the coveted Golden Lion prize. The Endless River stars South African actress, Donna Roberts, and French actor, Nicolas Duvauchelle. The team will have representation in 15 out of 22 sporting codes being contested at the games. The South African Sports Confederation and Olympic Committee (Sascoc) has named the South African team to compete in the 11th edition of the African Games to be held in Brazzaville, Republic of the Congo, from 4 to 19 September. For Team South Africa, the biggest code in terms of numbers will be athletics with a contingent of 60 athletes participating. Other codes represented by Team SA will include: badminton, boxing, cycling, fencing, football, gymnastics, judo, karate, swimming, table tennis, volleyball, powerlifting and wrestling. Previously known as the All Africa Games, the African Games is an important multi-code event and the highest pinnacle of continental games. The championships are held every four years – one year before the Olympic Games. At the last games, in Maputo, Mozambique, in 2011, Team South Africa were crowned champions of the continent as they came top on the medal table. This year, Ezera Tshabangu, as Chef de Mission, will lead the team. "Team South Africa are expected to perform well in Brazzaville and as has been the case, are encouraged to cement their position as one of the sporting powerhouses on the continent." Sascoc chief executive, Tubby Reddy, commented: "We congratulate the athletes who have been selected to participate in these renowned games as they have met the eligible criteria set by the International Federations to participate in African Games." "We believe in your capabilities and may you do the country proud." The first African Games were held in 1965 in Brazzaville, meaning the host will be celebrating the 50th anniversary of this event. Officially recognised by the IOC from this first edition, the concept of the African Games has since been perpetuated.